Welcome to the opening on Saturday 10th of September, 1217. The gallery is open on Sunday 11th of September, 1316. The artist will be present during the opening and sign his new book. With just a few strokes of his brush he conjures up an entire world. James Coignard extends the boundaries between concrete and abstract. He knows how to create chromatic melodies that shift in timbre from cobalt blue to blood red, from earthy tones to blocks of colour as black as night. His paintings embrace everything from vast expanses of colour to spaces enclosed. His pictures are an artistic epicentre where lines, letters and numbers meld with vigorous swashes of colour. He varies his subject matter endlessly  in one painting the focal symbol might be a secret sign; in another, a sensually conceived female body. His themes might as easily be small squares that seem to describe an urban formation, cave paintings of animals that may well have been taken from Spains Altamira or Frances Lascaux, or a full-blooded scene from a brutal bullfight. The paintings become magical. They trace an immense line over the heavens, a clean-cut brush stroke that transforms into a view of a mysterious, infinite universe. Paradoxically, Coignard casts the tangible and the unspeakable in the same mould, placing the luminous in opposition to the dull; the asperous against the fulgent. Several works from his early years reveal an unquenchable thirst for life, an indefatigable desire to paint whatever touches our innermost feelings and the landscapes that surround. Other works inculcate a rather more melancholy mood against a sombre backdrop. The facility for creating symmetrical lines that contrast with the chaotic and irrational has become a hallmark of Coignards work. Many of his paintings present saturated colours as a contrast to the grey, almost extinguished and effaced. Life meets death. Such is his pictorial universe, spinning like a never-ending whirligig populated by humans, animals and phantasmagoria. 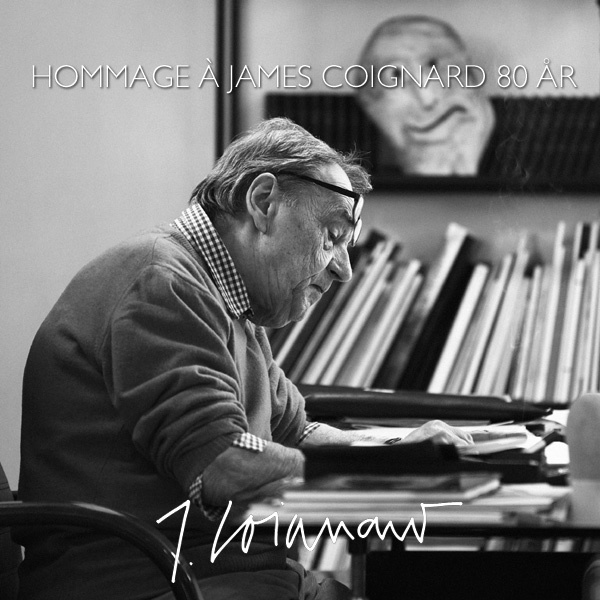 Born in Tours in 1925, James Coignard moved to Paris with his parents at the age of three. Even as a child he had an insatiable appetite for drawing and painting. 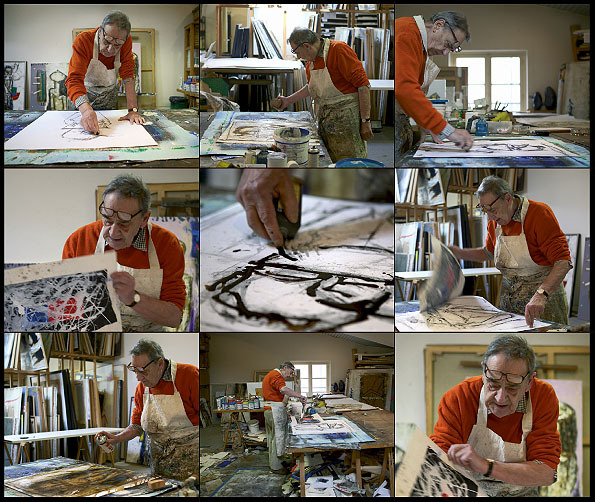 In 1948, 23 years old, he made up his mind to become an artist and enrolled at the École des Arts Décoratifs in Nice. The following year he and his fellow artist, Marchand des Raux, staged a joint exhibition at the Musée de l'Ile de France in St Jean Cap Ferrat. Around the same time Coignard came into contact with the great Henri Matisse and was influenced by his work for a while before he began to seek his own ways forward. Not long afterwards Coignard discovered the modernists handling of colour via the techniques of Georges Braque and Marc Chagall. His contact in the late 1950s with a number of Spanish artists and his special fascination for Catalan sculptures and frescoes proved decisive for his artistic development. 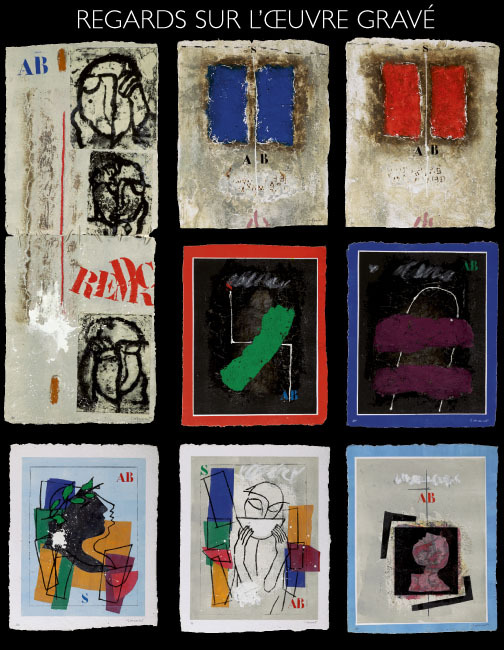 Coignards first Paris exhibition came in 1960. Since then he has exhibited in numerous galleries and museums, and is well represented in both private and public collections that include the Guggenheim Museum in New York and the Museum of Modern Art in San Francisco, California. In the late 1960s Coignard produced his first etchings in the gravure au carborundum technique. Earlier in the same decade he had also begun to create sculptures in bronze and glass, which he has continued to produce parallel with his paintings and graphic work. Today he is based in the south of France, with a studio in Antibes and a home on the outskirts of Cannes. James Coignards paintings and graphic works are an artistic adventure, an aesthetic game in which the destructive and the momentous mingle freely with the spontaneous and the sensual.